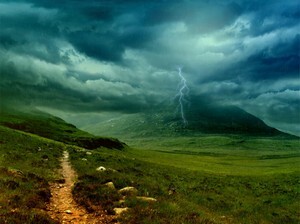 Your desktop will be ablaze with the heat of the lightening and alive with the roar of thunder. Dark clouds swiftly roll across the dark sky and stop at your computer. The wind whistles through the open fields sending waves of pollen into the air to feed the lush grass.